Now it’s up to the school board. 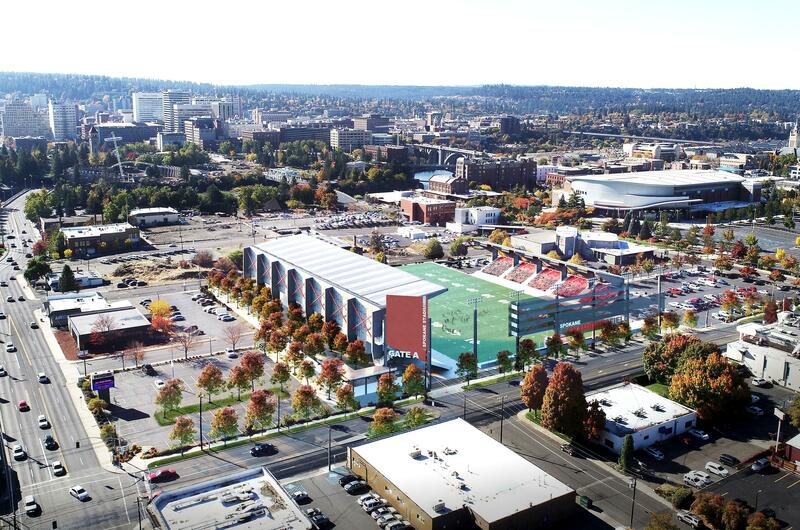 Voters, by an almost 2-to-1 margin, told Spokane’s elected leaders to build a new 5,000-seat outdoor stadium at the current Joe Albi Stadium site rather than downtown. The advisory vote, however, isn’t binding. “I know it’s only an advisory vote, but to me it sends a very strong message,” School Board President Sue Chapin said. A closer look at the returns showed that only in northwest Spokane did the downtown option prove very unpopular. In the rest of the city, the vote was much closer. But close enough for another look? That remains to be seen. In any case, the school board will have the final say on the stadium’s location. In the meantime, proponents of the downtown option are assessing what went wrong. And in this case, it was a lot. Questions over parking weren’t resolved until late in the campaign season. Proponents never presented a compelling visual, and some voters were puzzled over exactly what they were voting on as a separate, unrelated and yet nearby indoor sportsplex took shape at the same time. “A new stadium at the Albi location would be absolutely asinine,” the post concluded. Certainly some would like to revisit the stadium issue. “I would say I’m 95 percent elated and 5 percent disappointed,” said Rick Romero, a city official who worked with the school district in developing its successful $495 million school bond. Now that voters have weighed in, only five votes remain to be counted. Board members took a wait-and-see attitude during the stadium campaign, instead focusing their energies on the bond. With that battle won, they now have a chance to revisit the stadium issue. It needn’t be a snap decision. According to Associate Superintendent Mark Anderson, “we could wait a year (on a final stadium decision) and still stay on schedule” for the other capital projects on the bond. In the meantime, the district has several options. It could move ahead with the voter-embraced Albi option, resubmit the issue in a special election or simply disregard the advisory vote and build downtown. That would take some courage, as board members Chapin, Brian Newberry and Deana Brower are all up for re-election next November. The situation is somewhat similar to 1971 when voters were asked to approve a $5.7 million bond to remove the downtown railroad tracks and trestles and clear Havermale Island. The money wasn’t officially earmarked for Expo ’74, but it was seen as a referendum on Spokane hosting the fair. The bond failed. Passage required 60 percent approval and it received 57 percent. That’s much different than this year’s stadium advisory vote, in which 65 percent of voters opted to rebuild on the Albi site versus 35 percent who wanted a downtown stadium. Backers in 1971 had two choices: Give up the fair – even though a majority voted for it – or push through a temporary B&O tax. The Spokane Chamber of Commerce and downtown businesses were solidly behind the fair – another parallel with this year’s downtown stadium proposal. Finally, on Sept. 20, 1971, the issue went to the council, four of whom were up for re-election the next day. However, the tax won unanimous approval and Expo was on its way.